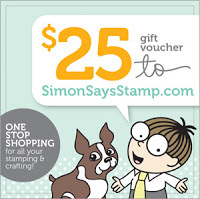 DI'S DIGITAL DOWNLOADS - $ 12 GIFT VOUCHER FOR THEIR ONLINE STORE. 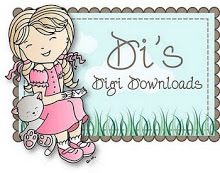 Di's Digi Downloads is a great little company offering lots of great digi stamps. a LOT with over 185 adorable charms for all your card needs! This Candy will go to that one special player who helps us to spread the word around about our Little Mousey Place. (we want to see more peeps joining the FUN)! Simply do this by placing a piccy of our Mousey logo and/or this candy on your sidebars to link it back here to our House-Mouse BLOG. We will be stopping by your blogs to visit. 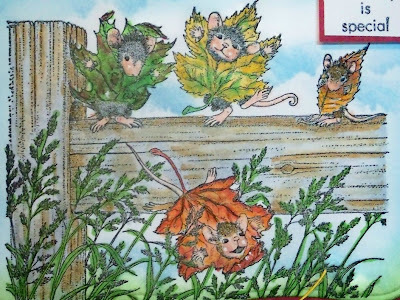 These mice are having a great time playing in the Autumn Leaves. Hope you can join us for this fun challenge. We love seeing what you come up with! You have until Saturday, September 21st at midnight to submit your card/project. check out the mid week inspiration samples by the girls on the design team. 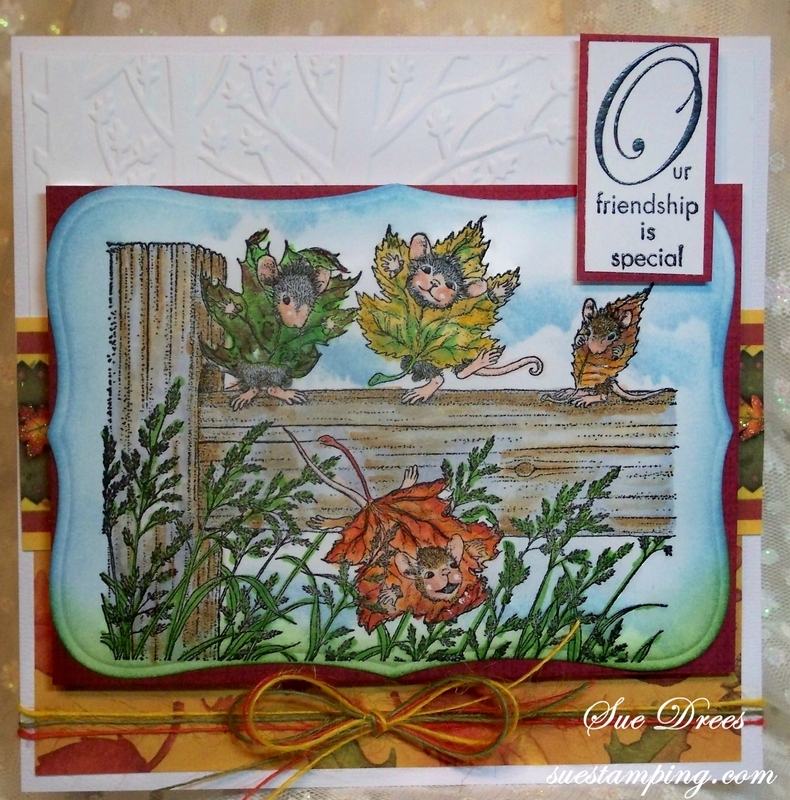 Gorgeous card Sue, such a delightful image coloured so beautifully. I love the sentiment too. it's a great and beautiful card Sue. 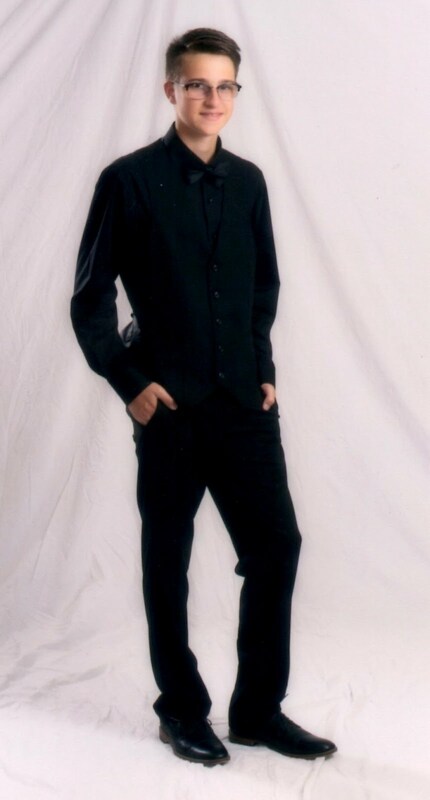 Hi Sue, I love this image - I almost used this one until my silly head to over. 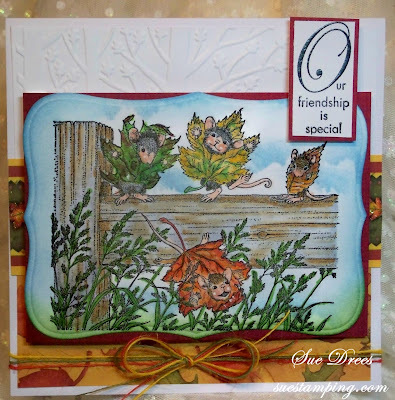 Your colouring is fabulous and I love your embossing and gorgeous papers!! Great job and so cute! I love the image. Great job! 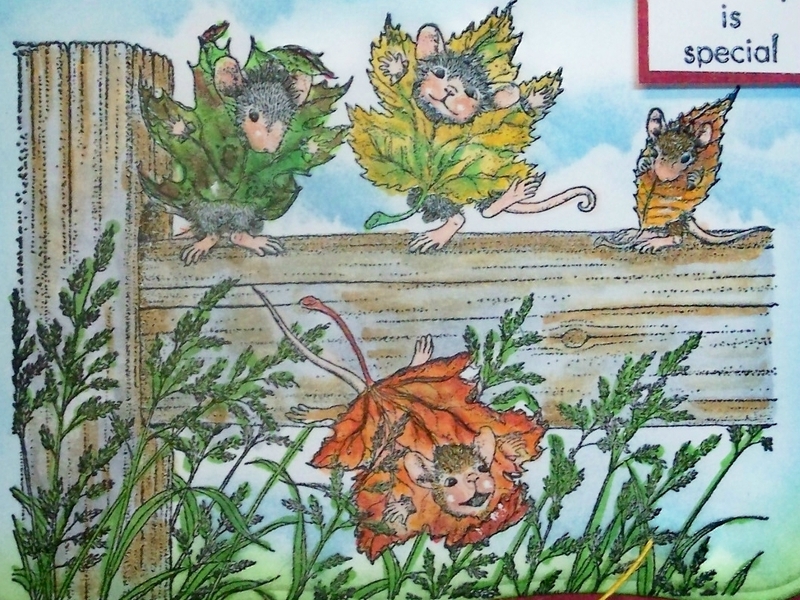 Wonderful fun image and they all look so happy wrapped up in the fall leaves. Your sky is fabulous, marvellous card!